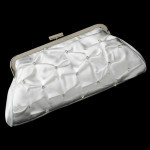 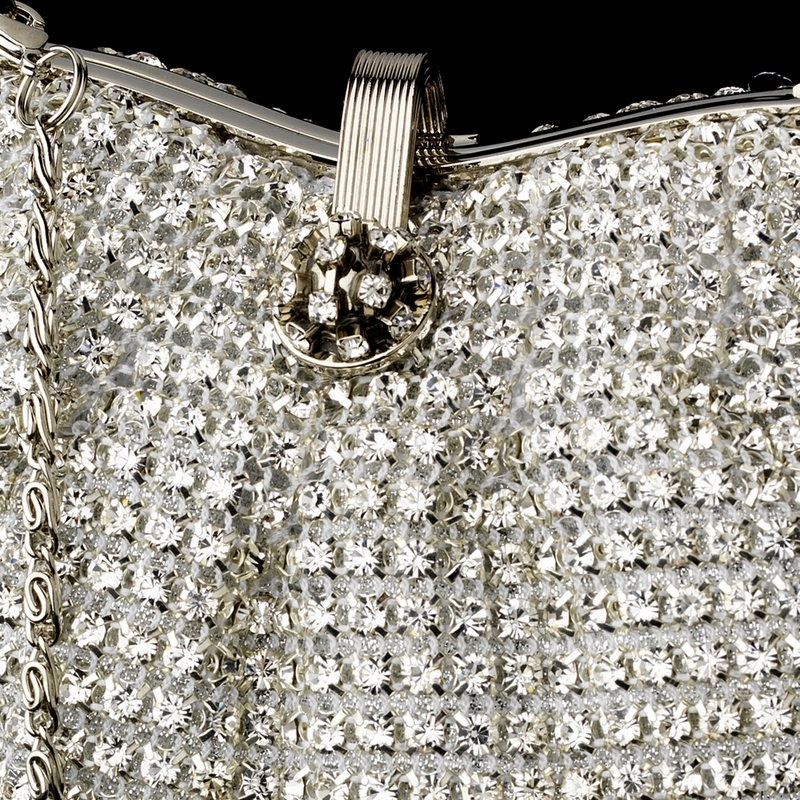 This vintage inspired evening bag is drop dead gorgeous! 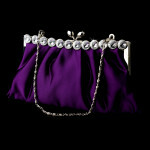 This piece will add a romantic and glamorous touch to your special day. 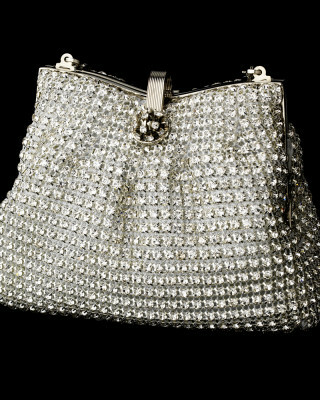 Featuring hundreds of sparkling clear crystals set on an elegant mesh fabric and the framed top is secured with a charming magnetic lock which opens to a single compartment with a slip wall pocket and a hidden silver chain strap. 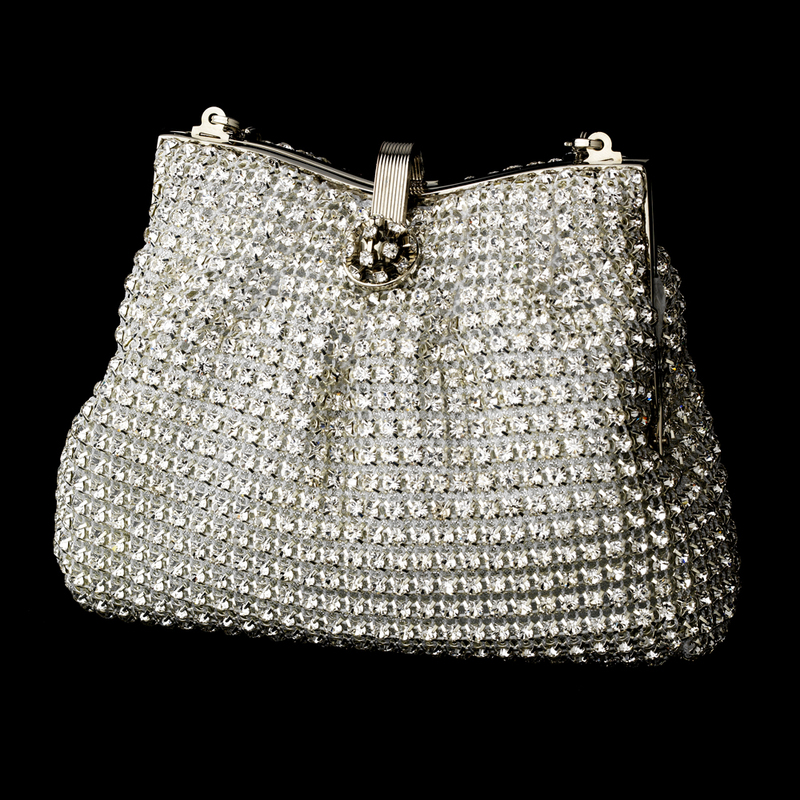 This fanciful and feminine bag is a darling accessory for your next elegant affair, whether it’s a wedding, the prom or a sophisticated night on the town!